A sturdy work boot that can withstand anything the outdoors can throw at it. 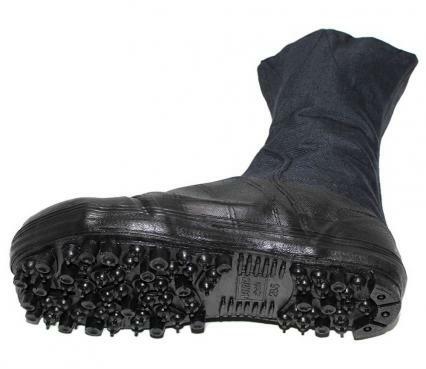 The steel-reinforced toes protect your feet from heavy falling objects. 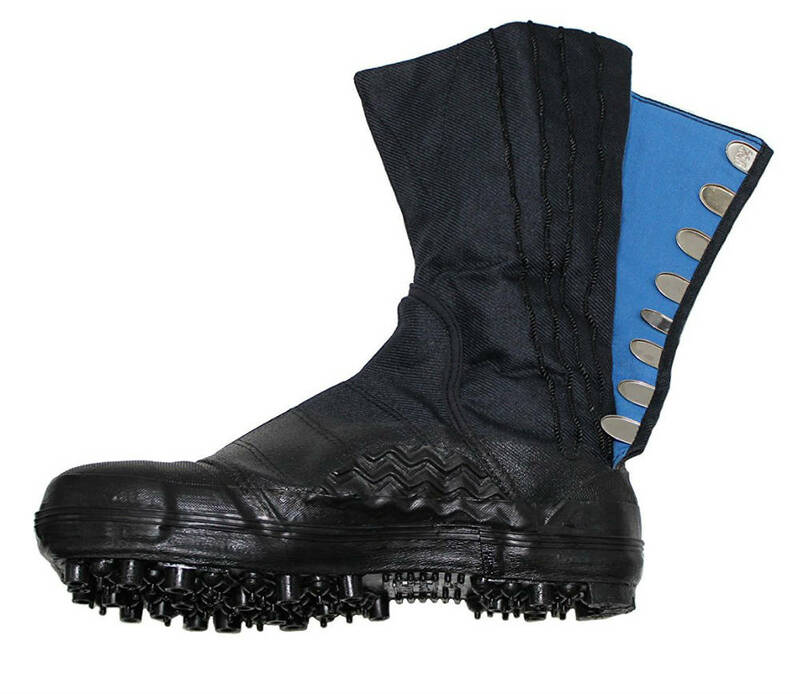 Added to the I-15-8 model, there is an extra layer of wire mesh protection to the instep. Rubber-coated metal "spikes" on the sole make for amazing grip, and the 8 kohaze tabs give a perfect fit. 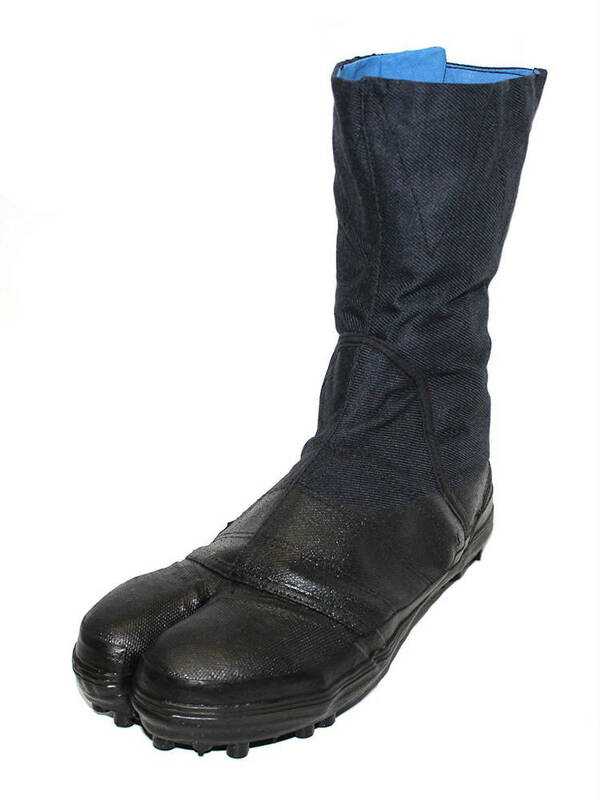 They have the usual split-toe design but the front is webbed to avoid material clogging the are around the toes. Note: the spiked soles do not give good grip for walking on concrete or rocks. These boots are not suitable for indoor use or driving. Soukaido make very sturdy work boots. 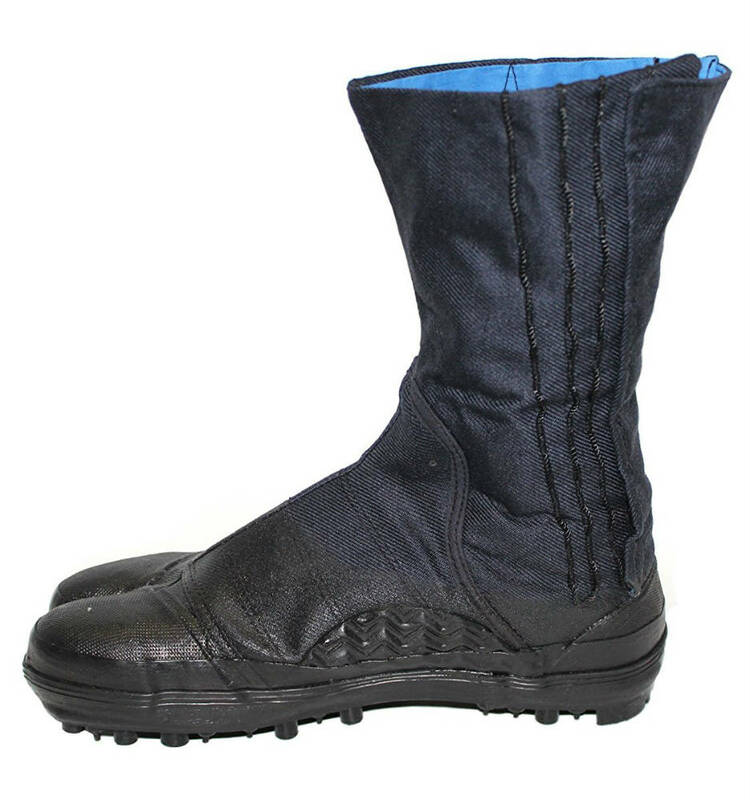 This jikatabi type has reinforced steel toe protection; rubber-coated metal "spikes" on the sole; nylon-reinforced cotton canvas uppers; an extra layer of wire mesh protection to the instep; partly water-proofed; 8 kohaze fasteners for a perfect fit; a tough but flexible sole.